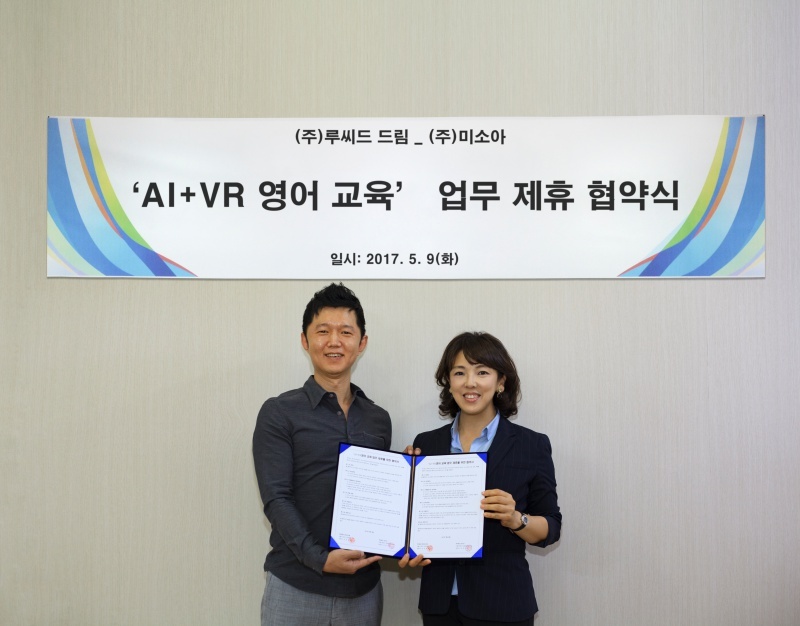 We have signed MOU to jointly promote VR & AI English education business with MISOA Co., Ltd. of Dr. Lee, Bo-young, the top English educator. Lucid Dream will provide an environment where users can learn English effectively through immersive experience without having to study abroad by realizing vivid contents of English conversation by virtual reality and artificial intelligence technology. MISOA Co., Ltd. will provide the experience of talking with native speakers by educating artificial intelligence system with the vast English education contents produced by Dr. Lee, Bo Young.